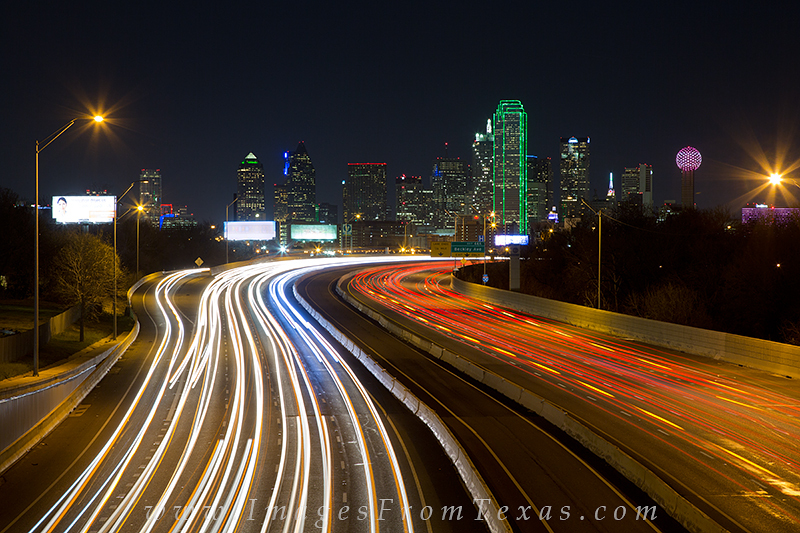 From an overpass along I-30, this Dallas skyline photograph is a 20-second exposure showing the movement of highway traffic with the cityscape in the background. This particular is not the safest place in Dallas, and I did not linger here very long. But I was pleased with the result from this Texas city. Photo © copyright by Rob Greebon.